In this Autel TS501 vs TS601 comparison review, we’ll look at the two products and highlight their pros and cons. Autel is one of the most popular brands manufacturing system diagnostic tools. Its products are reliable and highly durable as well. However, due to the massive options, users can often get confused. Autel TS501 TPMS tool and Autel TS601 TPMS tool are two similar products with some differences. It’s important to know the right option so that you can pick it. We’ll talk about them individually then compare the two in this Autel TS501 vs. TS601 review. 1.2 Who Should Take the Tool? 2.2 Who Should Take the Tool? Autel MaxiTPMS ts501 is suitable for professionals and auto shops as it offers more than what basic TPMS tools are known for. Plus, extensive vehicle coverage makes it ideal for pros. Autel MaxiTPMS TS501 is known to be quick and accurate. It uses wireless technology and is easy to use. 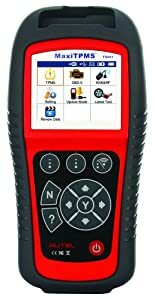 This tool can diagnose TPMS problems like a pro and also perform other functions such as activating and reprogramming TPMS sensors. Moreover, you can use it to turn off vehicle warning lights. 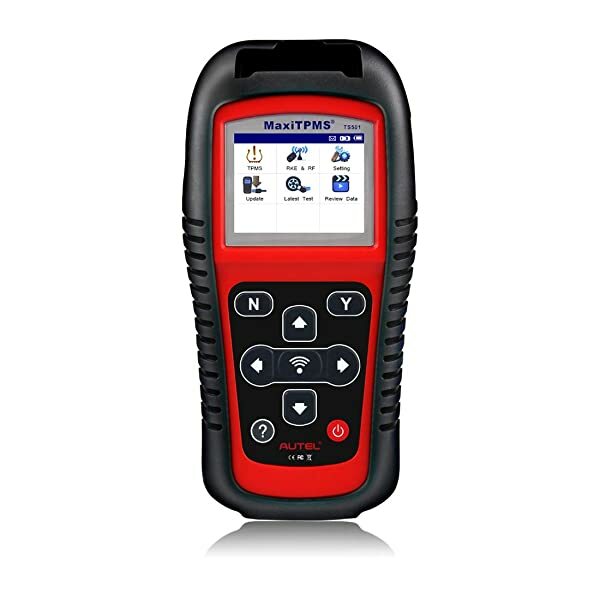 Detailed Diagnosis: This fully-functional tool can perform all TPMS functions as it offers four programming methods. You can view and write sensor IDs, clone sensors, read tire pressure, display battery level, and reprogram sensors with this beauty. Cloning is a feature you will find in a few tools. This procedure involves cloning new sensors so that the ECU has no trouble in reading them. With this option, there is no need to relearn the ECU. It uses 125 KHz modulated or continuous wave signals to activate sensors. The unit can receive both 315 MHz and 433 MHz signals. Find Fault: The TPMS scanning feature helps you identify the faulty sensor so you can replace it. Easy to Use: This wireless tool is simple to use as you do not have to worry about having to manage a cord. Plus, the screen is well-lit and quite big, making it easy to read what’s being displayed. The buttons are carefully placed. Plus, on-screen instructions are also helpful. At-a-glance Screen: MaxiTPMS TS501 is the only tool out there with this unique feature. It’s specifically designed for technicians, making it possible to identify faults at a glance. With this feature, you will not be wasting time organizing information to comprehend the output. Updates: The company offers free updates designed to expand vehicle coverage and improve functionality. The upgrades will cost $128 after the first year (the amount may change). The software is easy to update. Use the USB port to connect the tool to your computer, and download updates from the official site. Here’s a quick guide on how to update the software. Durable: Ergonomic design makes it durable and easy to use as it comes in a rubber protective boot and stable housing. Accessories: The device comes with a charger, SD card, OBDII cable, user manual, magnet, CD, and carry case. Coverage: The tool supports all vehicles that offer TPMS functionality including foreign and domestic cars. It’s also compatible with some big automobiles, including trucks with 35-37″ tires. Autel MaxiTPMS TS501 is known to be quick and accurate. Can check Key FOB for transmissions. One year conditional and limited warranty. Contains a rechargeable Li-polymer battery with automatic shut-off function. The at-a-glance screen makes it easy to read problems. Available in multiple languages including Spanish, French, and English. Does not have a touchscreen. A video of Autel TS501. Autel MaxiTPMS ts601 is also suitable for professionals but is a little more advanced than TS501. 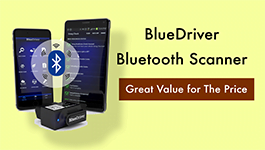 With this device, you will have the OBD scanner free to perform more functions. Autel TS601 is another wireless device that is quite like Autel TS501 but comes at a higher price due to a few added features. Just like the previous product, it is also suitable for professionals due to its extensive range of features. Basic Code Reader: This may come as a surprise to many, but Autel TS601 doubles as a primary OBDII code reader as well. This sets it apart from other TPMS tools as you can use this device to read, clear, and reset TPMS light. The device displays information in the form of graphs that makes it easier to read and understand data. You can use the tool to measure the efficiency of your vehicle. Plus, it can perform smog tests to help you know if your car meets the emission requirements or not. Note: This is an extra function of the tool. Detailed Diagnosis: Other than reading and clearing TPMS codes, this device can activate and reprogram sensors, relearn ECU, and read sensor data. Moreover, you can use it to check battery condition, temperature, and tire pressure. Just like the previous tool, this one also offers four programming methods including (1) Auto Create (2) Manual Create (3) Copy by OBD and(4) Copy by Activation. It also uses 125 KHz modulated or continuous wave signals to activate sensors. The unit can receive both 315 MHz and 433 MHz signals. Easy to Use: You will have no difficulty in using the device. You will get step-by-step instructions on-screen to follow. Plus, navigation is intuitive. Other than this, on-screen definitions of codes and audible and visual responses make it very customer friendly. You will not have to wait for the tool to do its job. It offers quick diagnostics and activations thanks to a unique pre-selection process. Updates: This tool also comes with free updates designed to improve features and coverage. The upgrades will cost $170 after the first year (the amount may change). The software is easy to update. Use the USB port to connect the tool to your computer, and download updates from the official site. Here’s a quick guide on how to perform updates. Accessories: It comes with a charger, SD card, OBDII cable, user manual, magnet, CD, and carry case. Durable: It uses the same ergonomic design as the previous model. The unit is durable and comes in a rubber protective boot and stable housing. Coverage: The tool supports all devices that offer TPMS functionality including foreign and domestic cars. However, it only works with Autel scanners. Autel TS601 is also suitable for professionals due to its extensive range of features. Can program single tire for Renault, Citroen, and Chrysler. The manual is poorly written. As obvious from the chart above, TS601 can do all that TS501 does. Plus, it offers additional features as well. However, it comes at a higher price. #1 Why is one product more expensive than the other? Autel MaxiTPMS TS601 is more expensive than Autel MaxiTPMS TS501 since it offers more functions including live data and some other OBDII tests. #2 Which tool is better? They are both excellent options, suitable for professionals. You should pick one that meets your budget and requirements. #3 Do they cover the same number of vehicles? Yes, they do. Plus, they both come with 1-year free updates designed to increase coverage. However, Autel MaxiTPMS TS501 may not offer some functionalities that Autel MaxiTPMS TS601 is known for. These include actuation tests and single tire programming.